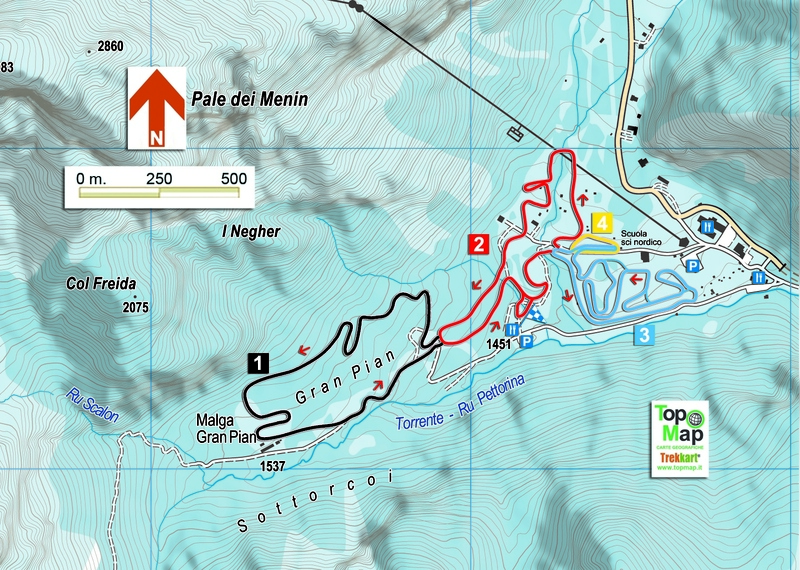 Sottoguda is located at the foot of the largest glacier in the Dolomites: the Marmolada. You can catch a glimpse of this awe-inspiring presence from the village and, in the winter, it is the scene of one of the most breath-taking runs in the Alps: the famous “La Bellunese” slope goes from Punta Rocca (3309 m) and, after more than 2000 metres difference in height and 14 km, skiers arrive in Sottoguda with their skis on! The last part of the run goes through the extraordinary Serrai di Sottoguda canyon, a fortress of crystal glass structures which create an atmosphere you won’t find anywhere else in the world. 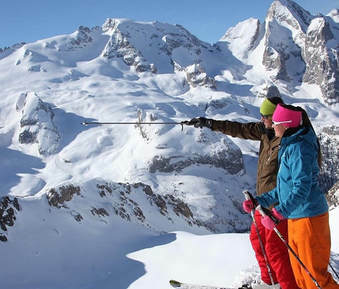 ​In the heart of the Dolomites, the magic word for anyone who loves skiing is Sellaronda! The number one ski carousel in Europe, with over 1200 km of slopes, is close by and gives you the chance to ski through all the valleys in the Dolomites in a single day. The Great War Tour also passes through Sottoguda, as it takes you back to the places of the First World War. The Marmolada is also a free rider’s paradise, with numerous runs in the area; there is also a wide range of itineraries to explore with snowshoes. Cross-country skiing trails are in Malga Ciapela. 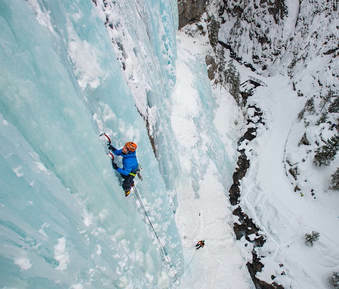 Serrai di Sottoguda is a real eldorado for ice climbing, mixed climbing and dry-tooling enthusiasts, who come from all over the world to try out the 80+ itineraries. They are all easy to reach and suitable for both beginners and top climbers. In a huge cave at Malga Ciapèla, called “Tomorrow’s world” is the most difficult dry-tooling line in the world, designed by Tom Ballard in 2016. Ask for a local Alpine guide to try this sensational experience!